The male Lumpsucker is unmistakable with his bright red colouration. Females are less striking. Unusually it is the male Lumpsucker that takes care of the eggs once the female has laid them and departed. 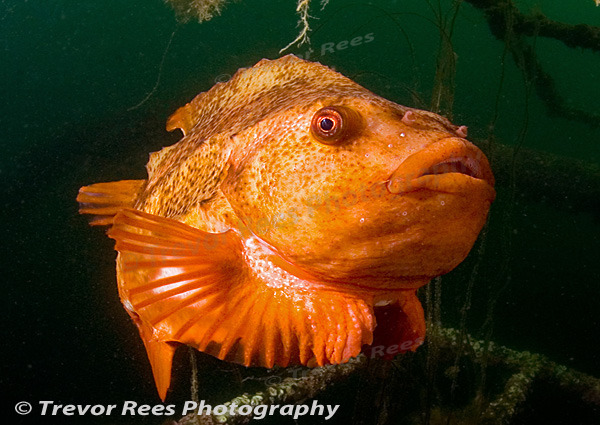 This lumpsucker was photographed whilst he guarded eggs on the wreck of the MV Hamburg in Solvaer harbour at the Lofoten isles in northern Norway.